This garden mural was painted in Hamilton, Ontario, but I also sell Flower and Garden Wallpaper that ships FREE in Canada and the USA. They’re super easy to hang and totally removable when you’re ready to redecorate. 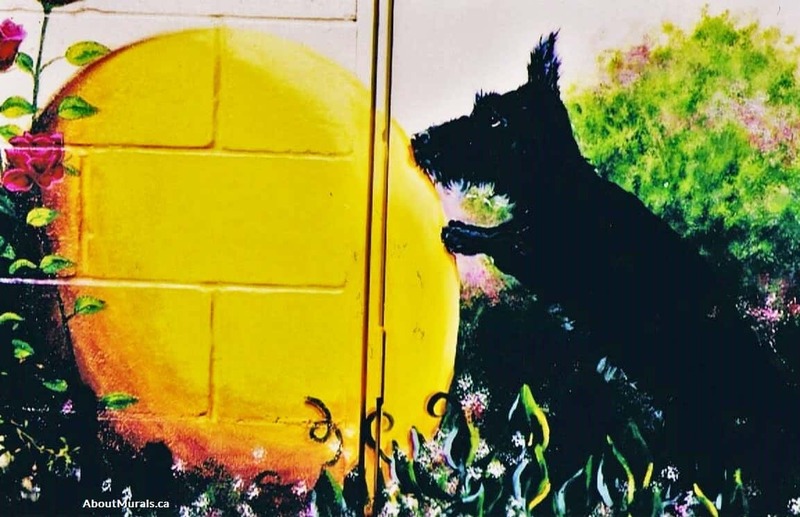 This garden mural was also featured in the Hamilton Mountain News! 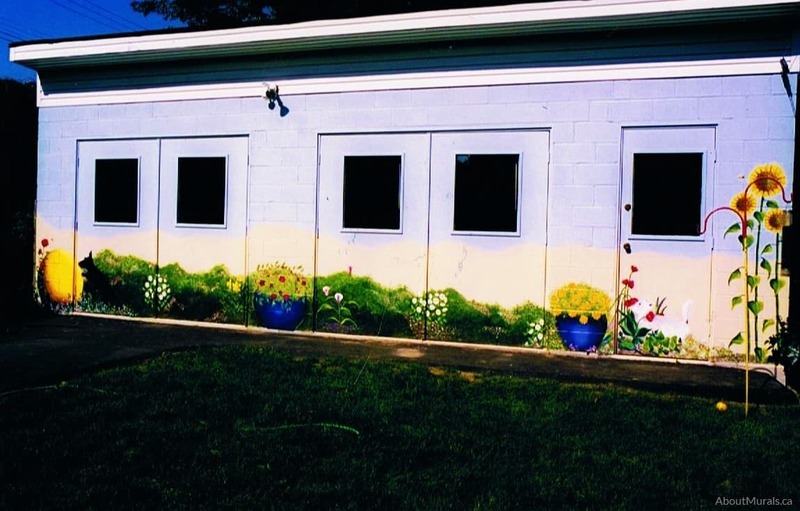 Thinking of a garden mural for your space? Here are some photos of a mural I painted to give you some ideas for your space. Denise and Judy loved their backyard, but the cinder block garage was an eyesore. They wanted to extend their already beautiful garden into a mural on the massive structure. 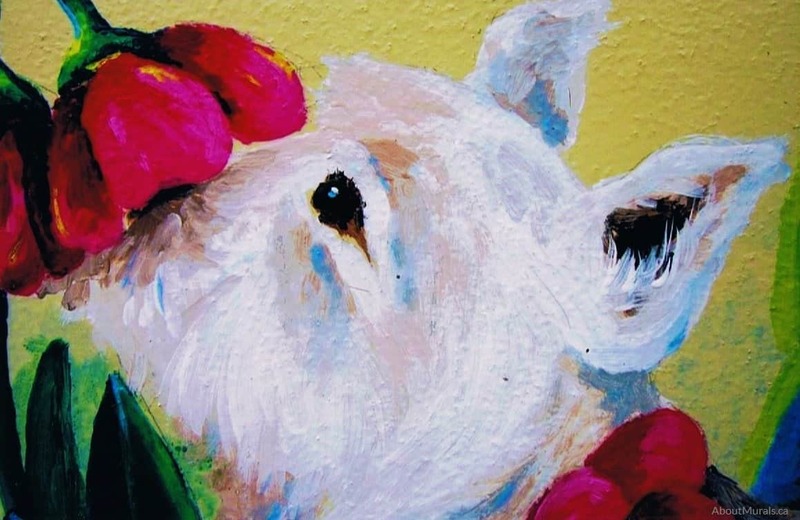 They also have two dogs that they love dearly, so we decided to add them to the garden mural. 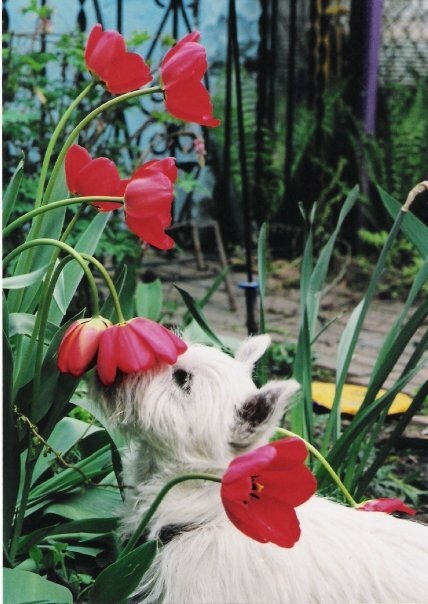 Denise is a photographer and captured a photo of their dog, Benny, sniffing a tulip. We decided that I’d recreate the image in the garden mural. 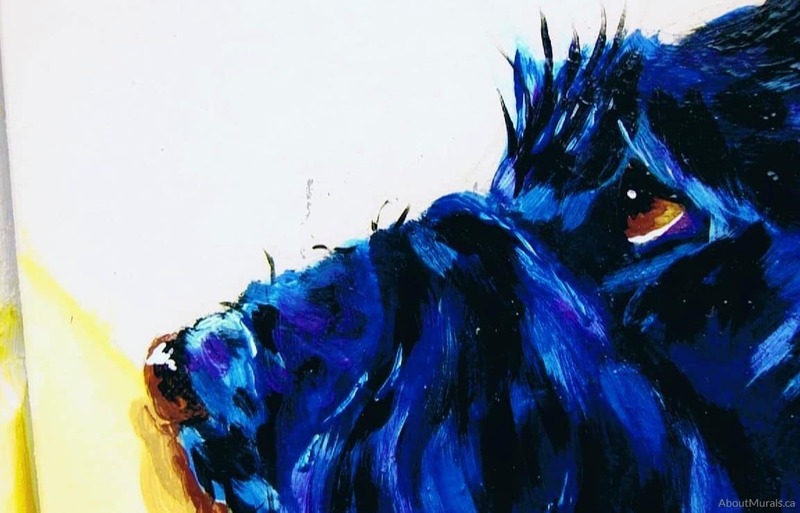 I only use non-toxic acrylic paint and no-VOC latex paint (with UV guard for my outdoor murals), so that it’s safe for you and your family to breathe the air – especially for indoor murals. 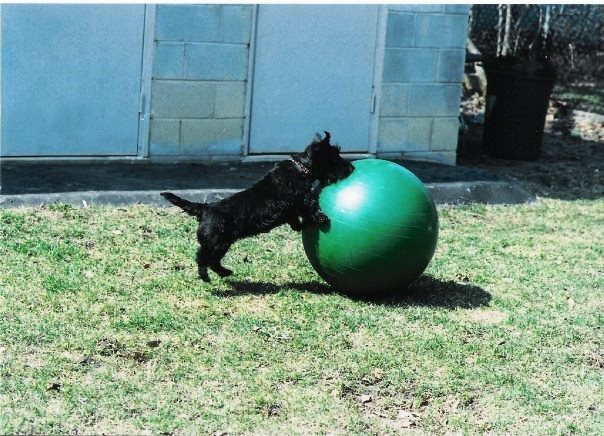 Their other dog, Bella, loves pushing an exercise ball around the backyard. 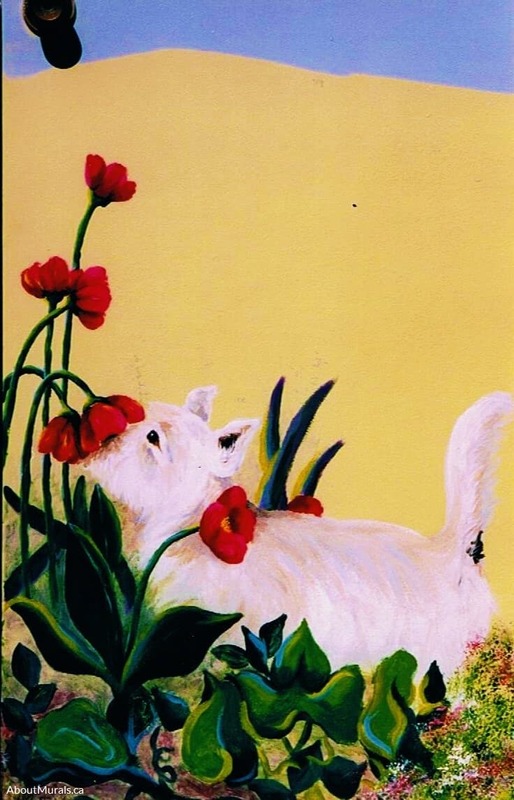 This photo was used as inspiration for the garden mural. 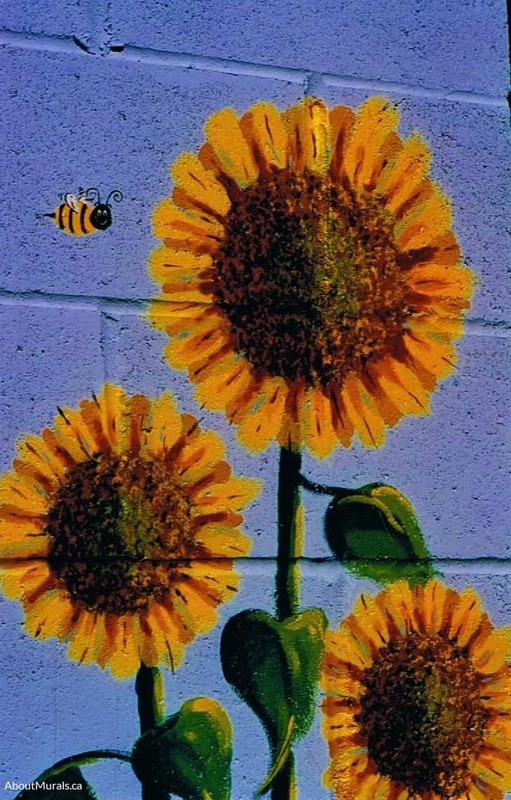 I also painted sunflowers and whimsical bees in the mural. Still thinking of a garden mural for your space and like my style? Let’s work together! Or Check Out My Flower Wallpaper Murals! Join my newsletter community and I’ll share all the latest promotions and maybe even a hot coupon code!